For a while, I wanted to change out the cable braids on my MakerGear M2 for chains, and now the work has been started! I printed out a bunch of those, first to test my PET, worked great, but I wanted them black, so back to the old ABS. To mount them to the M2, I found another nifty mod on thingiverse by rklosinski: http://www.thingiverse.com/thing:151024. Since I was not using a store bought chain, but rather my own, I downloaded the original Makergear part, and inspired by the thingiverse cable holder, I made my own version of it with a cable chain end point integrated. 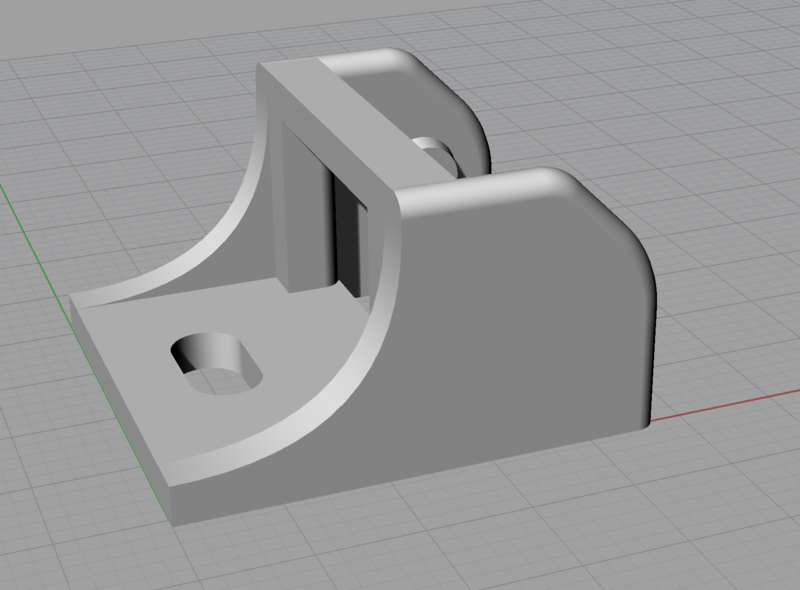 I cut off part of the model in order to allow for this to be printed without supports, as well. Once I had printed enough links in the chain above, it was a simple matter to remove the braid and carefully thread the cables one by one (largest first) through the cable chain. While doing this, I had them broken un into segments of 4 pieces, as this was easier to thread the cables through smaller segments. There was one big 4MM bolt that helps holding the top plate to the steel frame that was a bit in the way, but I replaced this with a smaller screw that should normally be counter sunk, but it got the bolt low enough to allow the chain to pass over without issues. 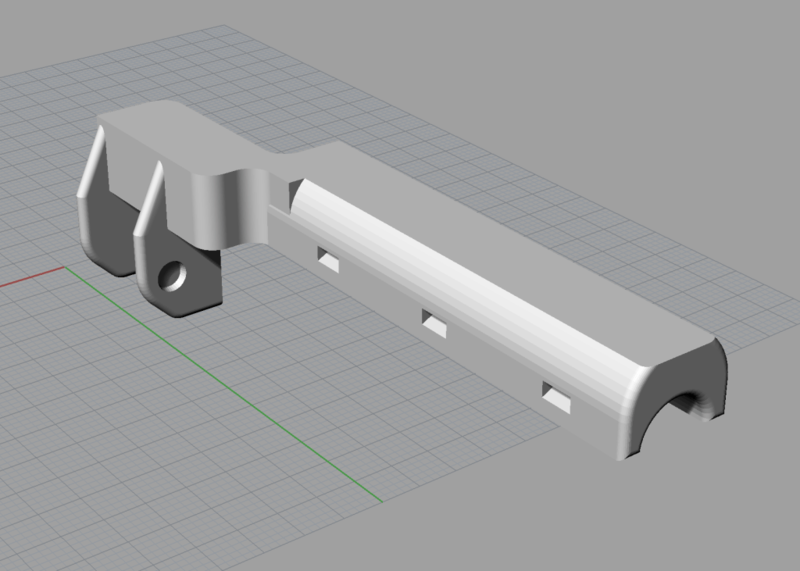 Here’s the result of the Y-axis DONE! 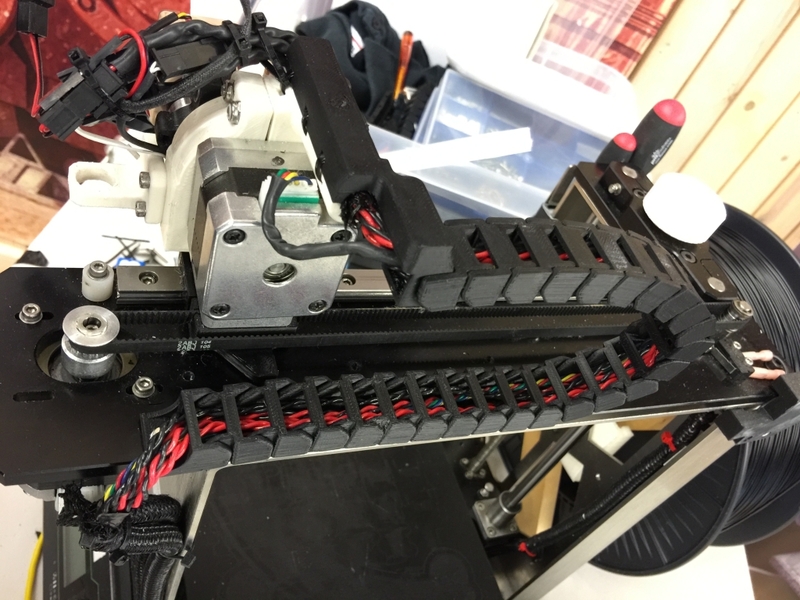 Now for fixing mounts for the heated bed and X-axis….